Never before have I realized the impact the presence of a Sister of Charity could bring. Sister Mary Richard Rowley (Margaret Mary) was born January 16, 1922 in Manhattan, the sixth of eight children—four daughters and four sons—of John and Mary O’Connor Rowley. Margaret attended Saint Alphonsus School and Cathedral High School, both in Manhattan. For a few years she worked in the government division of the railroads that routed US troops throughout the country during World War II. She then entered the Sisters of Charity of New York on September 7, 1945. Sister Richard earned a BA in History from the College of Mount Saint Vincent. During Sister Richard’s forty-six years in the ministry of education, she taught every grade in elementary school, as well as religion and history on the high school level. Her first mission was Saint Mary’s in Yonkers, followed by Blessed Sacrament in Manhattan. Throughout the rest of her years in education, Sister Richard taught in the following schools: Saint Augustine, Blessed Sacrament, and Elizabeth Seton Academy, all in the Bronx; Saint Gabriel, New Rochelle; Saint Mary, Saint Peter High School for Girls, and Our Lady Star of the Sea, all on Staten Island; Our Lady of Mercy, Port Chester; Saint Mary, Wappingers Falls; Saint Francis of Assisi, Mount Kisco; Saint Gregory the Great, Harrison; Resurrection, Rye; and Saint Patrick, Manhattan. Upon retiring from education, Sister Richard became a volunteer in parish ministry, working in the food pantry of Immaculate Conception Parish on Staten Island, and preparing students for the Sacrament of Confirmation. In 2004, she moved to Fort Lauderdale, Florida, to assist with pastoral ministry at Saint Sebastian Parish. Sister Richard returned to New York in 2012 to live at the Convent of Mary the Queen in Yonkers. In 2014, she was among the first group of sisters to move with the retirement community to Kittay House in the Bronx. Sister Richard is remembered as kind and compassionate, and a loyal friend. She gave her all to students, parishioners, and Staten Islanders affected by 9/11. We rejoice with her now as she is welcomed into the arms of our loving God whom she served so well as a Sister of Charity. Be at peace, Sister Mary Richard. Aunt Margaret was a very special person. She was a kind and compassionate person who always put the needs of others first. Her Family has many great memories of her and the way that she cared for us all. No matter how sad, upset or scared a person was about a situation. Aunt Margaret was always there for everyone, whether you were a family member, student a person that she came across in her travels or a fellow Sisters Of Charity. Aunt Margaret knew what to say to help to get through the hard times and she also was good at listening. Her smile would brighten up a room. She was truly one of a kind. Aunt Margaret will truly be missed by many. Sr. Richard came to St. Mary’s School in Wappingers Falls,NY in September, 1965. I was in her fifth grade class that year. The class had over 50 kids. Sr. was strict but fair. She tried to organize a class trip to upstate NY to the North American Martyrs. There was fundraising, but that failed. We had a class play that was staged for the school. She gave us daily ten minute breaks. We had her in sixth grade for religion. She was concerned about bus safety and manners. I have thought about her over the years. Quite a resume of service to students of the Archdiocese. 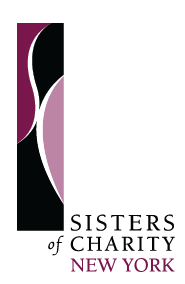 St. Mary’s has not had Sisters of Charity for over fifteen years. I will visit her grave at Gate Of Heaven. She was a very kind person. Prayers for her and the Rowley family. She taught us the Irish National Anthem in the fifth grade. She was the best teacher..I had her for 7 and 8 grade at Resurrection. She always had a smile on her face..she was strict…but so fair!! I really liked her…heaven got a good person! !